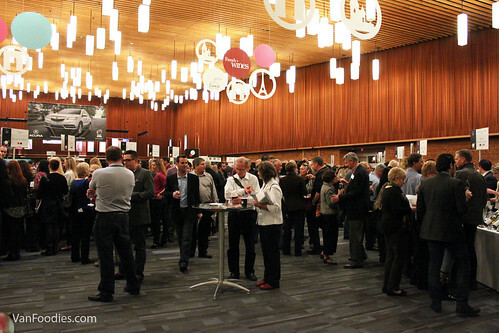 The 2014 Vancouver International Wine Festival has come to an end, and we were invited to cover two events. We’ll spend the next two posts to give you a recap. First of all, a glimpse of the International Tasting Room. There were various sessions on Thursday, Friday and Saturday. We went to Thursday evening one; apparently it also tends to be the most “tame” session of all. As I always say, I’m no wine expert and I don’t have the trained palate for it. It’s something I would love to explore more, though. 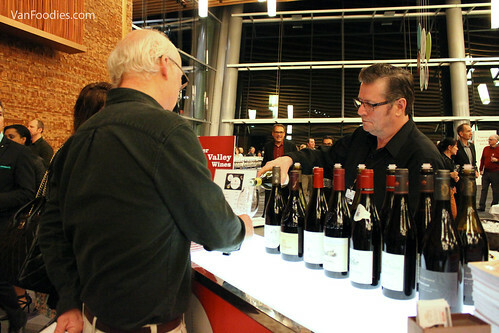 With that caveat, I will list out some wines that we enjoyed at the tasting room while feeling all overwhelmed in the presence of the 178 booths there. 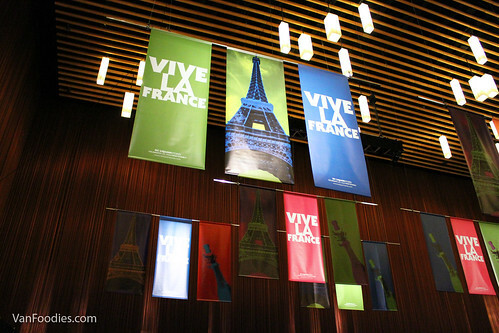 This year’s theme country was France with a global focus of Bubbly. We spent a good amount of time in the French wine area. 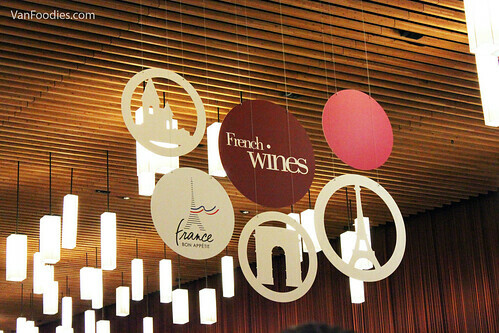 There was a fun quiz in the event program that helps you identify the types of French wines you would most enjoy. Guess what, I’m all over the map. I suppose it’s because I enjoy different types of wine depending on the food I’m having, the occasion, the weather, my mood, and every other factor that you can blame on. There really isn’t a go-to wine for me, per se. 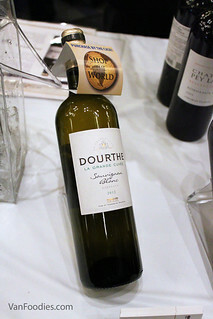 Dourthe La Grande Cuvee Sauvignon Blanc ($14.99 at North Shore Liquor Store or Bainbridge Liquor Store) – Quite aromatic, fruity yet dry. 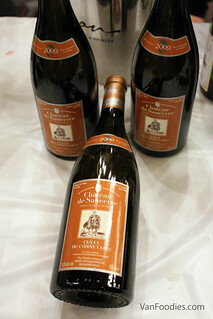 Chateau de Sancerre Cuvee du Connetable ($59.99 at private retail store) – When I went to the Icon Fine Wine tasting, I thought the Chateau de Sancerre Blanc was quite good. Now this reserve version is even better (and pricier too!) It’s smoother, sweeter and fruitier. 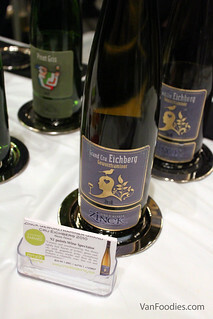 Domaine Zinck Vins D’Alsace Grand Cru Gewurztraminer Eichberg ($35.99 but retail availability unknown) – very fruity note, with flavours of lychee and honey. Georges Duboeuf Fleurie La Reine des Gres ($31.35 at Legacy Liquor Store) – Not super full body but with good intensity of flavours. Quite smooth. Domaine Paul Mas Paul Mas Estate Gardemiel Vineyard Malbec ($15.99 at BC Liquor Stores) – To-date I haven’t found one Malbec that I didn’t like, and this one didn’t disappoint me either. It has a spicy note and fruity aroma. Very affordable wine too. 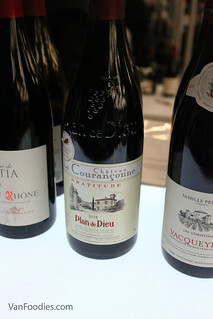 Le Chateau la Couranconne Cote du Rhone Village Plan de Dieu Gratitude ($23.99 at BC Liquor Stores) – A red blend with mostly grenache. It was smooth, not very tanniny; quite easy drinking. Francois Lurton Mas Janeil Maury (retail availability unknown) – This is an interesting wine. It has the taste of a fortified wine, but produced differently. It’s called “vin doux naturel (natural sweet wine)” because it’s produced through the mutage process, by adding 96-degree proof grape-based alcohol to stop fermentation. The yeast does not have the time to convert all the sugar into alcohol thus the wine preserves part of the sugars. 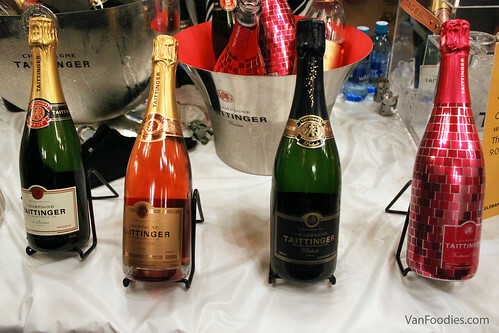 Champagne Taittinger – Of the few tables that we stopped by, Taittinger had the best bubbly. All 4 varieties – Brut Reserve NV ($64.99 at BC Liquor Stores), Nocturne Rosé Disco NV ($83.99 at BC Liquor Stores), Prelude Grands Crus NV ($79.99 at BC Liquor Stores), and Prestige Rosé NV ($83.99 at BC Liquor Stores) – were good. They had the right amount of bubbles, along with balanced flavours. 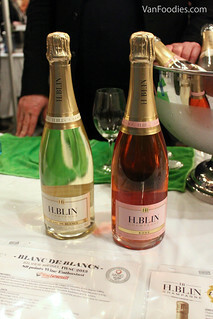 Champagne H. Blin Blanc de Blancs and Rose ($59.95 but retail availability unknown) – These were also pretty good. The Rose has some soft tannins but still fruity. The Blanc de Blanc was a bit dry for my liking, but Mr. quite enjoyed it. To make our lives a bit easier, we grabbed a Vancouver Sun’s Passport to Great Wine to help us navigate the rest of the tasting room. 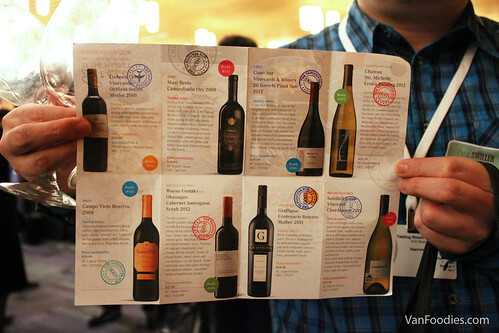 We had to stop by 8 booths (which were likely sponsors/partners of Vancouver Sun), tried some of their wines to receive a stamp; then with a fully-stamped passport we received a pack of Amola salt and gift card to Edible Canada. Realizing that a lot of wines may not be available at the retail level is a bit disappointing, nonetheless this was still a good opportunity to sample a huge variety of wines without breaking the bank (ticket cost $89 each). Perhaps you can start going to your favourite liquor stores and ask for the wines and they might start carrying them (that’s how it works with grocery stores anyway). Hi there! I am Laurent Gamonet form Duboeuf. 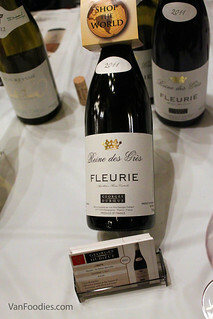 Just to tell you guys our Fleurie Reine des Grès is not 31.35$ as said in your comment, but 24.99$! Cheers! Happy to correct it if this is not accurate. Thanks! Thanks Leeann! I hope you had fun at the event too!